I might not eat it as often as I eat chicken, but I do love red meat. 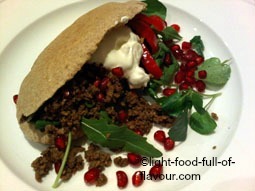 On my website you will mostly find lamb and beef recipes as I’ve got to admit that I am not very fond of pork. And while I was brought up on the wild stuff – elk, hare and deer – and really like the taste of this type of meat, I only use it occasionally. 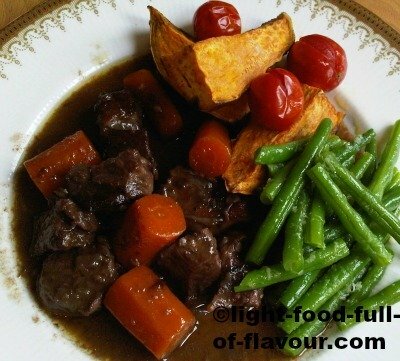 A dish to light up an autumn night - this slow-cooked lamb casserole is sensationally tasty and served with sweet potatoes, green beans and tomatoes also very healthy. 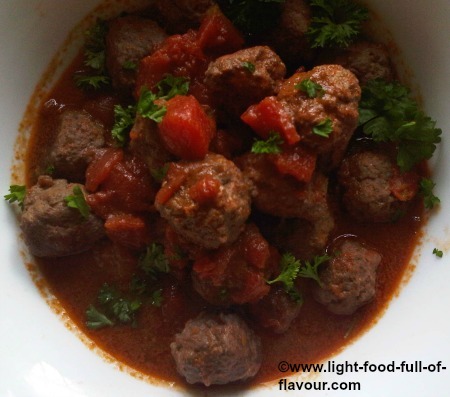 Incredibly tasty Spanish-style meatballs in an absolutely delicious red wine and tomato sauce. 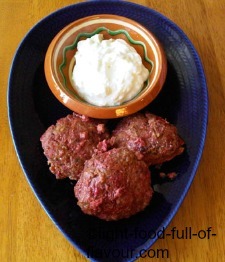 Burgers with a twist - luscious lamb and beetroot burgers matched with a super-tasty feta cheese and garlic sauce. 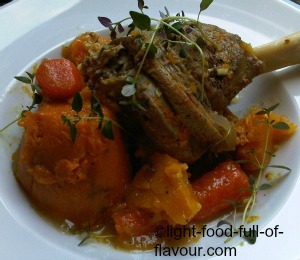 Warm and seductive spices flavour this delicious Lebanese-style lamb dish. 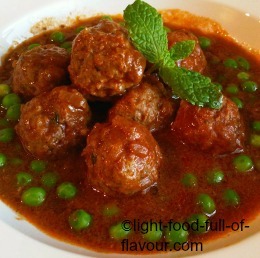 A stunning lamb kofta dish in a divinely spiced tomato and yogurt sauce. 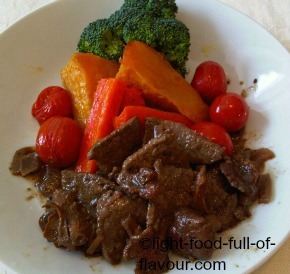 This is a taste from the wild - a massively delicious venison casserole. I either serve these wonderfully tasty slow-cooked lamb shanks with vegetables, or I use the meat to make a delicious shepherd’s pie. 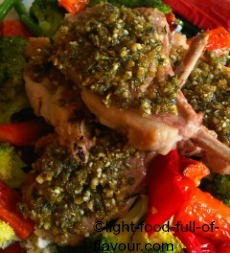 Delicious herb-crusted lamb chops served on a bed of vegetables and with feta cheese. 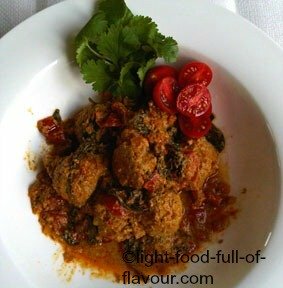 Utterly tasty Moroccan lamb meatballs with garlic and mint in an aromatic sauce. 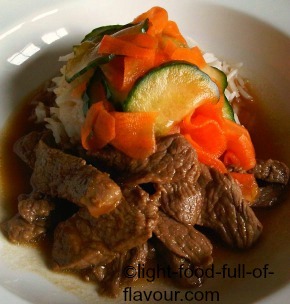 Japanese-style beef in a full-flavoured stock served with rice and marinated cucumber and carrots. A gloriously tasty Indian-style lamb biryani served with saffron rice. 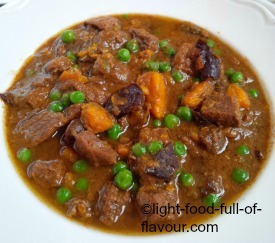 A delicious slow-cooked beef tagine with saffron, prunes and sweet potato. 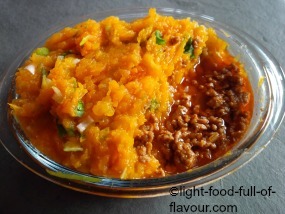 Asian-style comfort food at it's best - an incredibly tasty, spicy Indian lamb mince pie with squash and sweet potato mash. 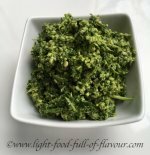 There are a fair few of my vegetarian recipes that can easily be adopted to suit a carnivore. A good example is the Puy Lentils With Roasted Beetroot And Sweet Potato. 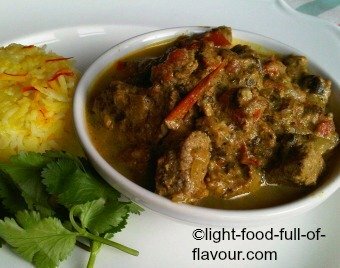 I do personally love to eat this dish together with venison sausages, but you can just as well use some other sausages – preferably a bit spicy ones. It’s a fantastically tasty combination. And you can make a fantastic Bolognese Sauce with my Oven-Roasted Tomato Sauce.